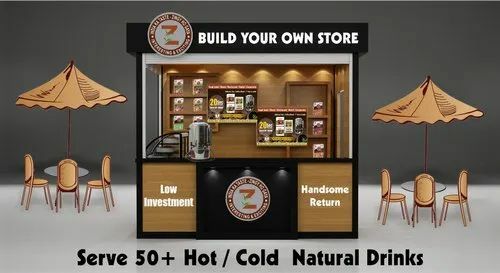 Our product range includes a wide range of build your own cafe. In addition serve Items sourced locally like French Fries, Pastry, Samosa, Badaa Pav etc..etc. We provide complete solution to run with Electric Milk Boiler, Paper Cup , Lid, Sugar Saachet, Blender etc..etc. Also we provide Flask solution to keep Tea/Coffee Warm up upto 1 hour to be delivered through Swiggy, Food Panda, Zomato, Uber Eaats & so on. If you plan to sell our 100/200 Gm Pack there itself - it increased your revenue & we undertaake Promotion also. Return in 1st year to Investment done. Looking for “Build Cafe - ZINGYSIP”?